Okay people! We have work to do!!! I’m out of ideas on this. So I’m putting this onto you people, to find me a good name for this girl. 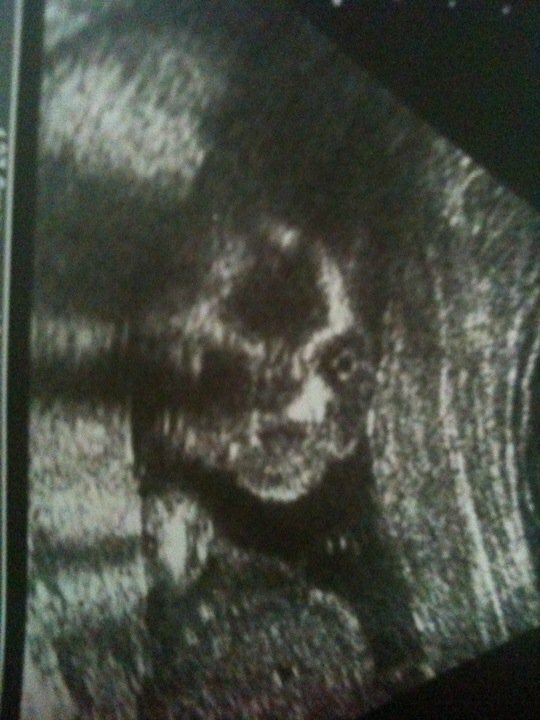 Yes, it’s a girl! Call ’em The Powerpuff Girls, or the Halliwell sisters, or even the Kardashians. 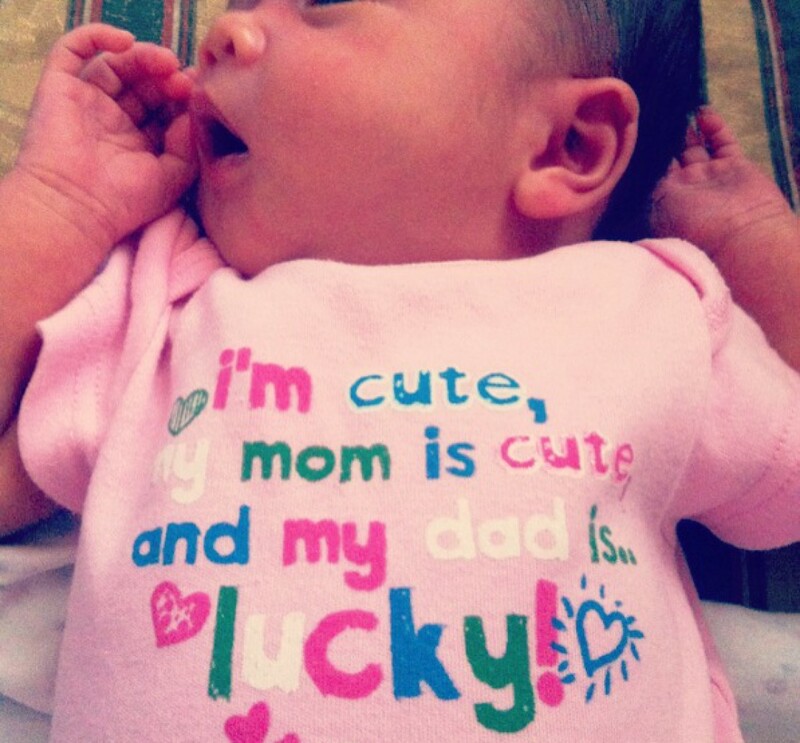 No words of comfort needed, as I am really glad it’s a girl. I wouldn’t kno how to handle a boy. One dude in the house is more than a handful. So put out all the efforts and let’s get this girl a name! I don’t exactly kno, but I just feel like I’m in need of a hero. No, I’m not depressed. Actually, I feel fine. I don’t feel great, but I feel just fine. So why do I need saving? Maybe the fact that I am watching Grey’s Anatomy from season 1 again might indicate a little bit of boredom. Or maybe, I’m refusing to move on to a new movie or series. Or maybe, I’m just too lazy to change the DVD in my player. Hmmm… Maybe I should move on to Supernatural season 1 now. Ignore me people. This is just me getting drowsy and refusing to sleep doing all the talking. Good nite! I usually keep my hair super short because I’m just too lazy to take care of it. In order for me to keep my hair short and tidy, I have to get it trimmed every 3 to 4 weeks. It’s been almost 4 months now. Messy is an understatement. I have to “ikat” (if u can consider 2 inches of hair sticking out from everywhere as ‘ikatan rambut’) the hair to make sure nothings pokes my eyes or masuk my ears. 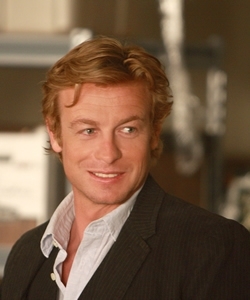 And now, as it grew longer, I realized the wave has made it’s way back and I look like Patrick Jane! Moral of the story? Kemungkinan saya berharap kalau-kalau baby dalam perut ni boy, keluar mata warna biru, rambut blonde like Patrick Jane. Heard this song during Dr Muzaphar’s wedding. Teringat zaman sekolah pulak. 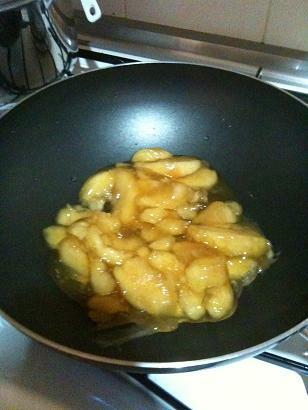 Cook apple sauce filling with maybe 2 tablespoons of butter and add cinnamon & nutmeg powders (2 and 1 tablespoons each). 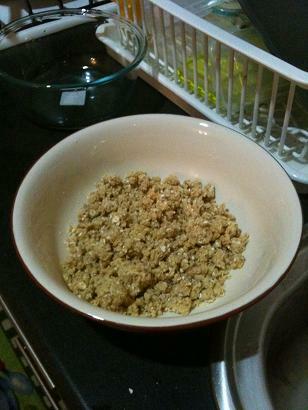 Mix instant oat, flour and 2 0r 3 tablespoons of butter until it clumps together. 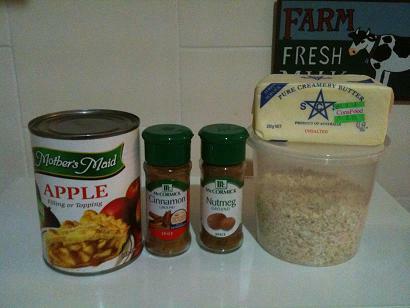 Pour the apple filling into your baking dish and fill the top with the oats mixture. 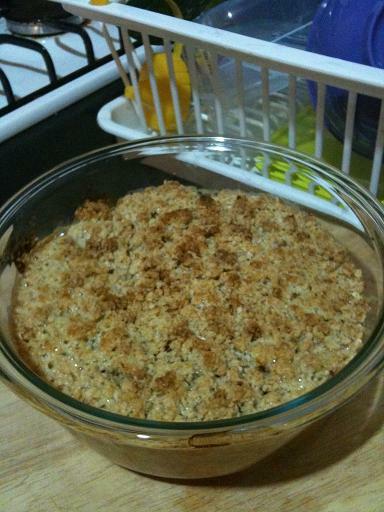 Bake for 10 mins or until your oat turns brown. It doesn’t look as pretty as its’ taste. But I assure you, a scoop of ice cream on top is all that you need to beautify it. Not that it needs any additional work to the taste. I’m pretty sure, if you ask 10 years from now, this song will still be in my iPod playlist. This time around, I have a LOT of cravings. Especially for meaty stuff like grilled lamb chops or beef burger. And not to mention those beautiful Baskin Robbins ice cream. FYI, I don’t like ice creams at all. Not a big fan. But this few weeks I’ve been dreaming about BK ice creams. Craysee pregnancy hormone. The worst part of this pregnancy is, I smell like a boy 24/7. Is that a sign that the person renting my womb is a dude? Maybe… Maybe not… Will let you kno once I kno.